Looking to find your best wellies? 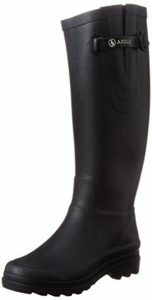 Read through our wellington boots reviews and pick your favourite rubber boots. In the UK, wearing waterproof wellies are as normal as night and day. They are a frequently used footwear worn not just in the icy winters, but at all sorts of different events and occasions. They can be seen at festivals, farming, dog walking, fishing, gardening – pretty much everywhere. I’ve seen even wedding wellies – overall, the wellington boots are quite common and have a lot of applications. If worn well, they are actually a smart looking pair that will get you not just compliments, but protection from the cold and water. 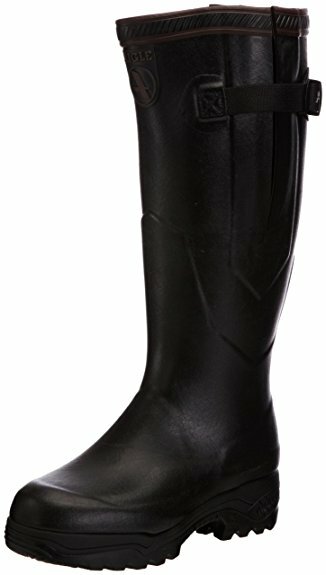 At the end of these wellington boots reviews, we created a guide about things you need to look out for before deciding which are the best wellington boots for you. You might find them useful so don’t hesitate to take a look and spend your money wisely. Depending on your budget, we listed the cheapest ones at the beginning of this list. If you want to invest in a solid, long-lasting pair of wellies, you’ll find some high-end models towards the end of our list. 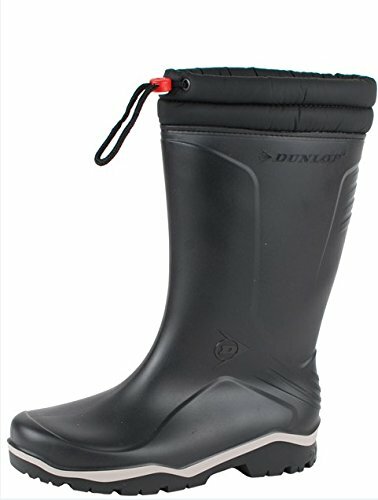 These Dunlop Wellington boots for men are one of the cheapest wellies that you’ll find online. They are made of rubber on the outer and other manmade materials. 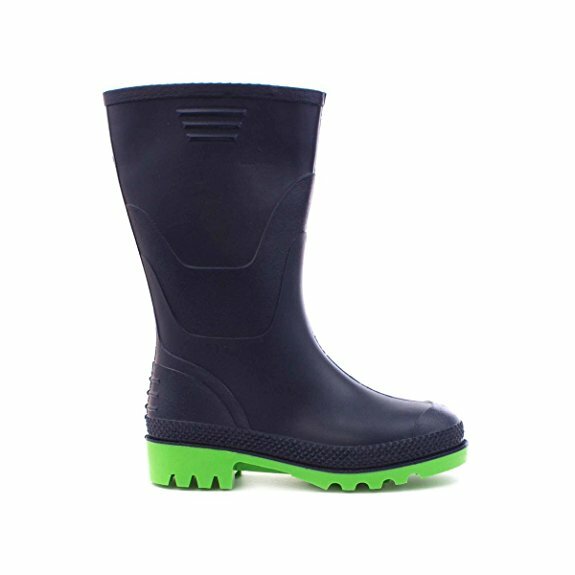 These wellies are quite durable and they offer a comfortable fit around the calf irrespective of the trousers worn. They can be worn at festivals or you can use them for walking your dog in rural areas or muddy terrains. 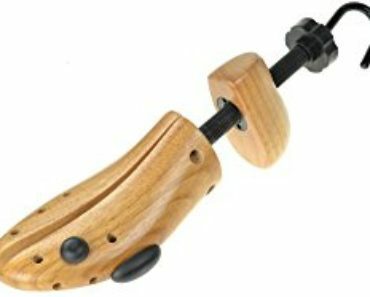 With a good grip,they fit high on the leg. ● They don’t come in a box. These SPYLOVEBUY IGLOO Wellington boots for women are a budget-friendly choice for the rainy festivals. Plus, you get the chance to choose between many different models and colours – there’s one for every taste. You can be confident of walking through puddles and murky waters in these wellies without the fear of getting your feet wet. They are quite stylish and have a rubber outer and slip-on closure. 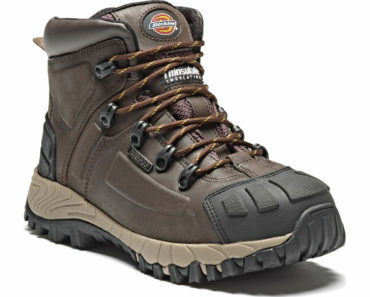 The shoe width is regular and the heel type is flat making it easy to walk on rough terrains. These wellies were crafted from man-made materials and not animal skin. It’s as organic as organic can get. The calf measurement when the buckle is pulled tight varies from 16 to 17.25 inches around the calf depending on your size. They are comfortable around the top of the leg and suitable for people with wide calves. The Mens Hunter Original Short Wellington is Hunter’s finest. It features a natural vulcanized rubber upper and a gum rubber sole with a matte finish. These shoes are well made and have a good weight to the sole. 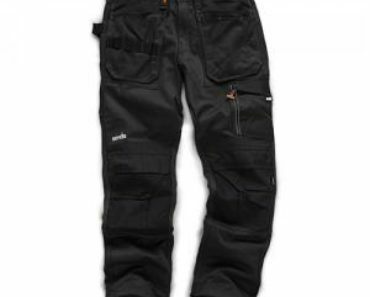 The inner materials are also well made and comfortable to wear as well thanks to the quick dry knitted nylon lining. 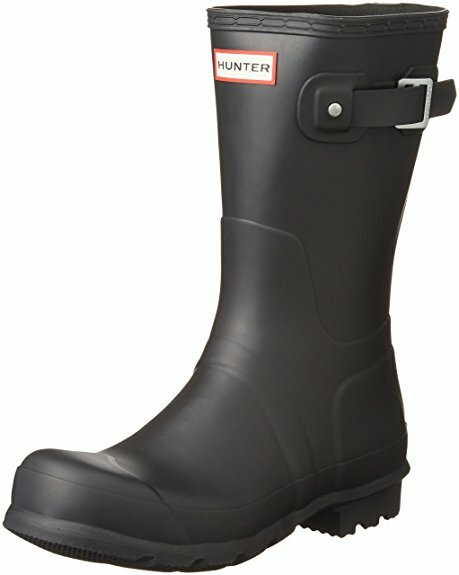 One reason why Hunter’s wellingtons are so popular is that what you see is what you get. Their boots are always a perfect fit and they have a good weight to the sole so it doesn’t drag you down when wearing them. It uses a front and single side buckle that gives you the fit needed. ● Not suitable for users with a wide foot. The Dunlop Blizzard Wellington Boots are known as a pair of tough wellies that are waterproof and comfortable to use. Features a fully waterproof outer of thick fleece lining and padded collar that insulates your feet during the winter days. They have multi-directional lugs that offer tough grip on both wet and dry surfaces. 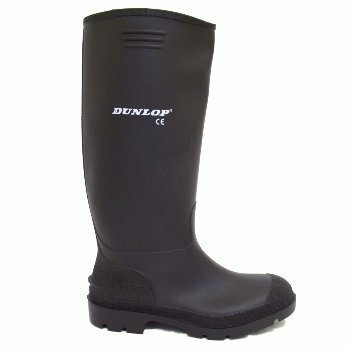 For traction, this pair of Dunlop Blizzard Wellies have a deep grip thanks to their synthetic soles that keep it grounded on the floor. You can expect to wear these wellingtons for long distances without feeling any sign of discomfort. Plus, they are currently one of the best-rated wellington boots for walking on Amazon.co.uk thanks to the comfort they provide. ● Couldn’t find any other than it’s basic design. These Kids Wellington Boots are made from synthetic and inner textiles with manmade soles. These lovely wellies come up quite high above the calf. They are easy to slip on and can be used on really deep muddy puddles. 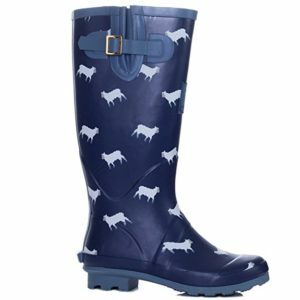 These kids wellingtons are top notch wellies that can be worn by kids of all ages, making them look stylish and water-protected. They are steam and puddle proof and made from quality materials. Cheap, good looking and quite durable – top 3 factors that make them one of the best wellington boots for kids. ● Some users complained about leaks after an extended use. 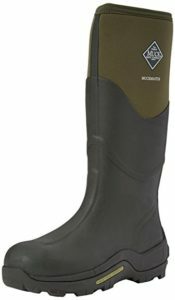 The Muck Boots unisex high wellington boots are 100% waterproof. Being manufactured by a well-respected brand in the market, they are well built. These particular wellies are made with breathable air mesh lining and can keep you comfortable in both cold and hot weather. They provide outstanding performance for users and holds well under the nasty terrain. They are extremely breathable which wicks away the perspiration so you can stay cool in the summer heat while keeping you warm during the winter. It uses gum rubber soles which are thick and provides interesting grip and traction on a variety of terrains. The top is made of elastic so you don’t have to worry about the fitness of the leg or the thickness of your trousers when wearing them. It’s a stylish and versatile wellington. 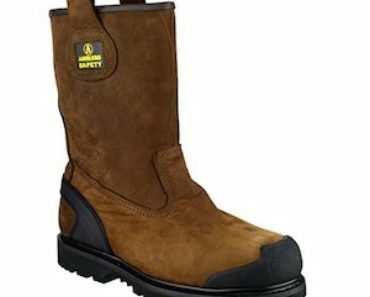 The boots withstand sharp objects and can be used by farmers and a range of outdoor workers. These Aigle wellington boots are handmade in France by highly skilled wranglers. Designed to have a damping cushions in the heels that make it comfortable on bumpy roads. It puts a bog-hopping spring in your step. Featuring a super supple upper that makes wearing them as simple as wearing luxurious waterproof slippers. They have a 4.5m neoprene lining for excellent insulation and maintenance of temperature. Neoprene linings contain microbubbles of air that improves the insulation of the feet during use. 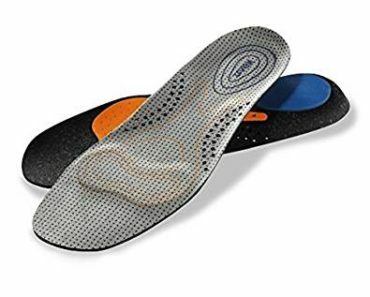 There is a triple density anti fatigue shock absorbing sole which is great for stability. The outer material is made from pure rubber and it uses a buckle closure. These boots will insulate you from the cold thanks to the thick neoprene linings. Great insulation boots that keep feet warm. Fitted ankles that hold your feet firmly. Features tri-density rubber soles for added comfort. The Aigle Wellington Boots is one of those boots you have to purchase if comfort and space are a thing for you. They are quite roomy and pretty. It has a buckle closure system, placed on the side which can be tightened and loosened by a few centimeters that will fit the thinnest or fattest calf. One reason the Aigle wellington boots are a popular choice amongst others is that they don’t taper in at the ankle to give you that slim profile to your leg. They are a fashionable pair of wellies that will fit beautiful on your leg. ● Uses a buckle closure system. Just like any other Aigle wellies, a bit pricey. When it comes to purchasing an average running shoe, knowing your shoe size is often enough. But when you’re in the market for wellies, knowing your shoe size and calf size are the quite important as well. The trick is to add a couple of extra centimeters to the calf size for additional room for your trousers – this way it can accommodate any form of work trousers that you decide to wear. With sizing out of the way, the next important consideration is the use of the wellies. What you need the wellies for will determine the type of wellies to purchase. If it’s for casual everyday wear, you will prefer wellies that are lightweight, warm and stylish. Leather wellies are often fashionable. Other types of wellies that you can use for casual outings include traditional rubber – which are often heavier but more flexible and then we have wellies made out of synthetics like PVC – which are often lighter and cheaper. Most of these wellies will hold up well under the elements and can withstand serious abuse on the long term. Safety wellies are often used for manual labor. They come with steel toe caps and sometimes with midsoles for extra support for the feet and ankles. When purchasing wellies in general, pay attention to design elements like the mesh inside the boot. This helps minimize sweaty foot problem. When it comes to purchasing wellies, the lining is everything. The liners help with the buildup of perspiration and also how warm the feet during winter. Leather linings are known to be breathable and can protect your feet up to a temperature of about -5°. A fur lining will keep you warm but will lead to a lot of perspiration. Lighter neoprene linings will keep you warm all the way down to -25° or -30°. Cotton lining or polyester mesh provides a different degree of ventilation but they are not breathable. Sometimes, it’s often advisable to get two wellies for different seasons. There are some specially made wellies such as Vibram rubber outsoles which have an excellent grip even in bad weather. These wellies are often used for mountaineering and can be worn for horse riding or walking in rural areas. There are also models that are quite fashionable such as wellies with wedge heels which are available in different patterns or colors. They also come in lace-up or zip-up options. Some have a gusset fitting to accommodate narrower calves. It could come as ankle-high or knee-high wellies – it really depends on your preference at the end of the day. Hope you enjoyed our wellington boots reviews. These are amongst the ones that I consider the best wellies that you can currently buy online in the UK. Is there any particular model you want to see as part of this list?